— anonymous marvel of gene expression. We are a group of over three-hundred 8p superheroes that live all over the world and come in different shapes and sizes. Despite the differences, Chromosome 8p shares many similarities. We are all hard working individuals that average 1,500 hours of therapy a year and at least 1 doctor visit every month. Just like most people, we deserve to enjoy every opportunity that life has to offer. And like superheroes always do, we seek victory as we try to conquer our daily challenges and end our day with a smile as we find the joy in knowing we are not alone. Project 8p is committed to bringing us together because we need each other! When a doctor asks us, "what is your diagnosis? ", they should be asking "how many diagnoses do you have?" because we have too many to keep track of. The majority of us have moderate to severe developmental delays among other health complications including disordered acquisition of cognitive and social competence, apraxia (speech), motor planning, low growth, feeding and digestion challenges, epilepsy (seizures), autism, congenital heart defects, hypermobility (loose joints), hypotonia, muscle spasticity, and more. Sometimes our brain mixes up signals when we want to bring food to our mouth and misfires -- and the food ends up on our heads! And even this takes 10x more energy for us! We are often tired so people call us sleepy. We understand far more than we can say. We are smart and we are aware of our differences from most of the world. As 8p heroes, we typically receive therapy, nutrition for our body's deficiencies, intervention from conventional research-based to holistic approaches, and special education support just to name a few. 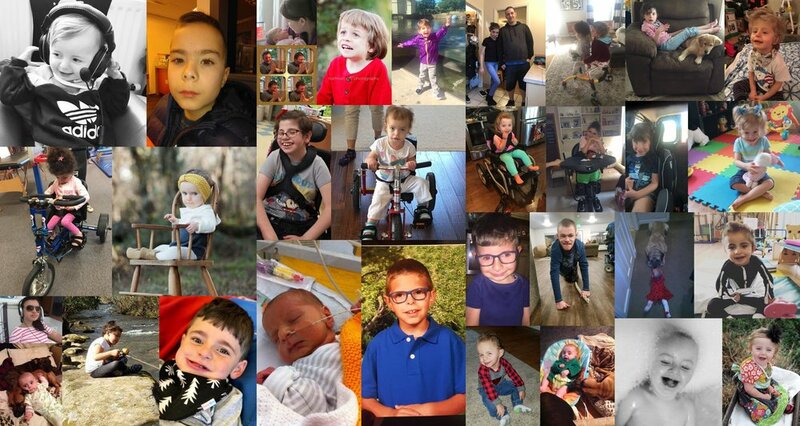 We are living with a label that is a mouthful with no recognizable name which falls under the broader category of a rare genetic disorder or orphan disease. However, with your help, we heroes will never feel alone and labelled – we will learn from each other and teach the world…so that a chromosome 8p disorder transforms from an adjective to a meaningful and inspirational call to action. And this is why we are so very special. And let’s not forget that we superheroes have a loving support system including tireless working Mothers, Fathers, Siblings, Relatives, Doctors, Therapists and more. We celebrate you all and we certainly cannot do this alone!